You are here: Home / Home / Law Guide / Personal Injury Law / Going to Court / Is Arbitration Required for an Auto Accident Injury? The short answer to that question is no. Arbitration is never required in an auto accident case. 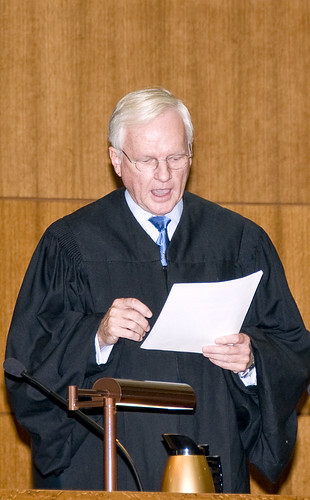 In the State of Utah, arbitration occurs either when the parties mutually agree to it, or when a claim is worth less than $50,000, a plaintiff’s attorney can file for mandatory arbitration in his or her initial pleadings, or even motion for one within fourteen days of receiving a defendant’s answer during litigation. Arbitration is a very common form of alternative dispute resolution. That means that it is an alternative to formal litigation that is used for resolving disputes. It is much more similar to formal litigation than mediation is in its processes and in its application. Defense counsel is usually ok with going through arbitration because it is more predictable than a jury trial and it brings their costs down as well. The process of arbitration is much like the trial process except that it is not as formal. The opposing sides will agree upon and hire an arbitrator. An arbitrator is usually an experience attorney or former judge who understands the applicable area of law. A time will be scheduled for the arbitrator to meet with both sides and conduct a proceeding much like a trial. Each side will have an opportunity for an opening statement; each side may call witnesses and make closing arguments. The arbitrator may even have questions for a witness or for one of the attorneys. When the proceeding is complete, the arbitrator will go on his merry way and will typically respond with an order within a short period of time. That order does in fact carry the force of the law. The parties will either follow the order, or they will appeal the award by simply asking to go to trial. They would be entitled to a de novo review, or a fresh look, at trial. In an effort to discourage these orders ending up back at trial, the statute dictates that the side who appeals must see a 30% change in the outcome of the case or they will be responsible for the other sides fees up to the amount of $6,000. That way, neither party will appeal the order unless they are extremely confident that they will see a significant change. After all, the point of arbitration is to speed things up, not slow them down. Arbitration can be a great alternative to trial in a case where a settlement cannot be reached. Most victims want their claim taken care of as quickly as possible. Arbitrations limit the discovery process to less than 150 days. That is relatively short compared to the one to two years that a full-blown trial may take. Arbitrations do tend to get a bad rap for “splitting the baby.” Because arbitrators are privately hired, some people say that they favor the repeat customers. That is usually the defense side. Others against arbitration claim that the awards are too often split right down the middle rather than one side winning or losing big based on the particular case. While these generalizations may carry some weight, arbitration still may be right for your case. Unless a case is incredibly unique, a predictable award somewhere down the middle of what you might expect is not necessarily a bad thing. Juries can be very unpredictable; to end up with nothing after a long drawn out claim would be heart breaking. An experienced personal injury attorney can advise you as to whether arbitration is a good option for you.